North Warwickshire Borough Council is one of five Districts/Boroughs in the County of Warwickshire. 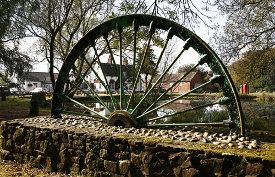 It lies between Birmingham, Solihull, Coventry, Nuneaton and Tamworth, with excellent links to the A5, M42 and M6. It is home to around 62,300 people residing within 26,956 properties. The Borough is a mainly rural area with over half within the Green Belt and is 28,435 hectares in size. North Warwickshire is home to the historic Atherstone Ball Game, which has taken place every year on Shrove Tuesday since the 12th Century. It has a strong coal mining and hatting heritage. 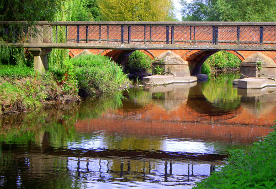 Many businesses reside in North Warwickshire and have head offices based in the region. North Warwickshire Borough Council is committed to offering good value for money for its residents via procurement and at the same time enabling all businesses to work with us, including SMEs. The Council will endeavour to make all future opportunities available electronically. The Council is now in the process of migrating the way we tender to ebusiness, via the CSW-JETS website. This will enable businesses to gain access to all of our partners’ procurement opportunities. If you don’t see an opportunity that interests you, please register to be alerted to any future opportunities to work with the council.